This week at Studio L3's Compendium of Curiosities II Challenges, the 5th technique is Tim's "shattered stains", and this challenge is sponsored by Simon Says Stamp. The technique is so gorgeous and really takes a project to a whole new level. 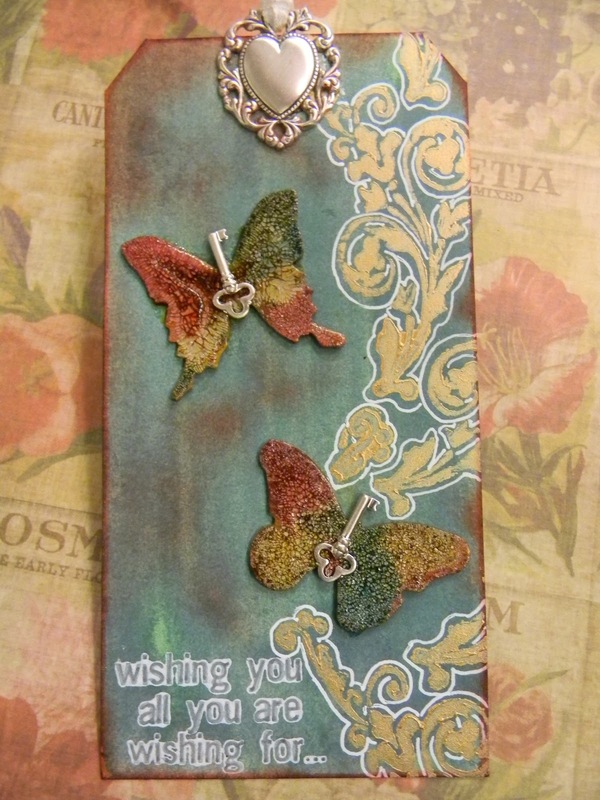 I created my background with Distress Stain and Distress Ink. 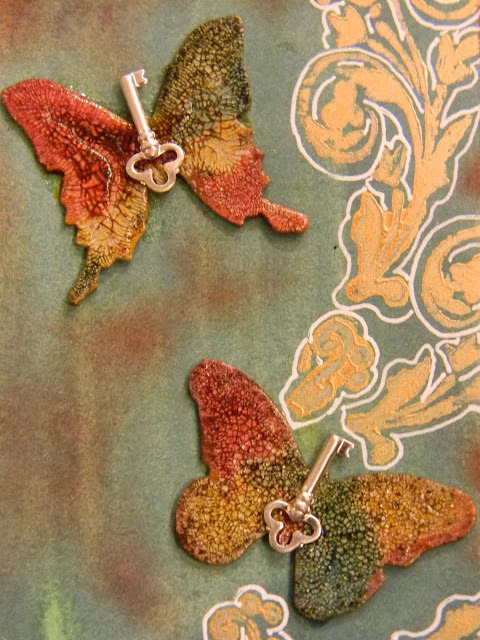 The images are all stamped in Adirondack Paint Dabbers. Beautiful tag, this is a great technique. So very beautiful Anita, loving your artwork! Absolutely STUNNING...I just LOVE doing the Shattered Stains technique.....your butterflies are so pretty!!! Gorgeous texture! Love this tag, Anita. Very pretty butterflies and they look right at home on that dreamy background! Love this! 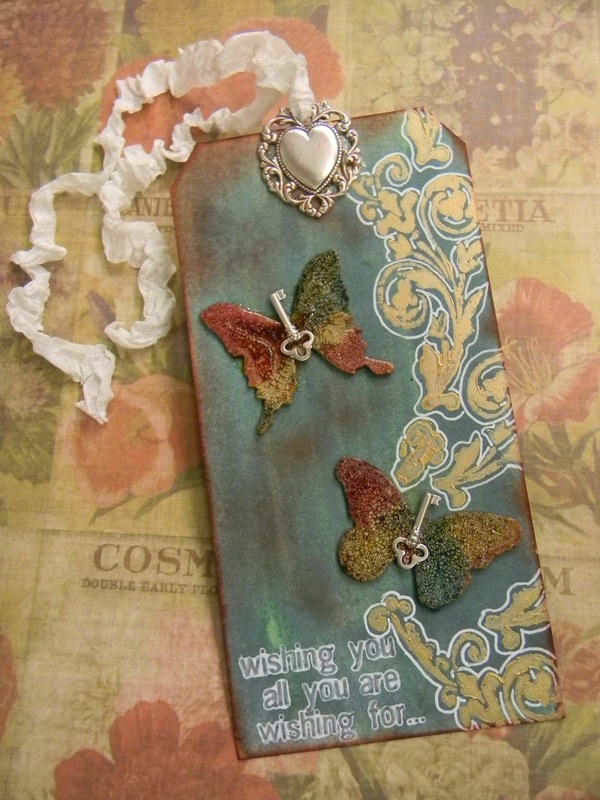 Gorgeous tag! Love the shattered stains! 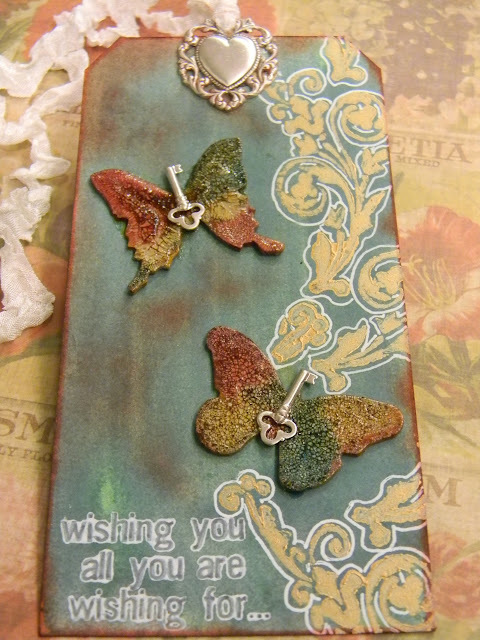 Those butterflies turned out amazing! And the background looks great! WoWzA, 'Shattered Stain's' never looked so good! Another amazing tag, Anita!! So, so gorgeous, Anita! I love the sweet design, and your Shattered Stains work is phenomenal! Elegant work, my dear!